One in three children who play sports will be injured seriously enough to miss practice or a game, according to Safe Kids Worldwide. Some injuries while playing are unavoidable, but some are preventable. 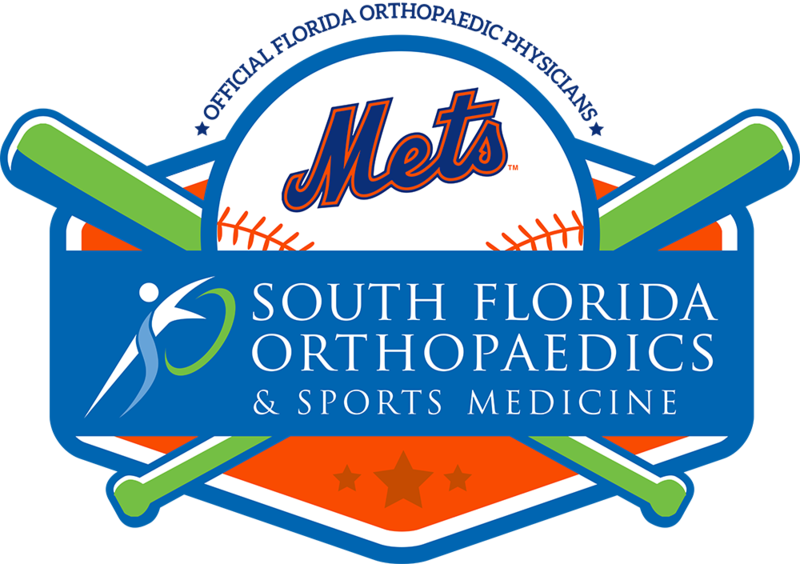 Below are several tips for preventing sports-related injuries in youth athletics from the experts at South Florida Orthopaedics & Sports Medicine. Making sure your child stays hydrated before, during and after practice and games – especially in the South Florida sun. Players should drink fluids 30 minutes before being active and at least every 15 to 20 minutes during the activity. The American Academy of Pediatrics recommends that an 88-pound child should drink 5 ounces every 20 minutes and a 132-pound child should drink 9 ounces every 20 minutes. A child who experiences cramps, faintness or dizziness, nausea, rapid heartbeat, or high body temperature may be suffering from dehydration. Stretching muscles before and after practice and games can prevent muscle tears or sprains. Be sure to set aside time before and after practice and games so that players can properly warm up and cool down. Warming up makes the body’s tissues and muscles more flexible, while cooling down loosens muscles that might have tightened. Warming up can include jogging, high knees and lunges, while cooling down often includes several dynamic stretches. For more examples of warm-up and cool down exercises, visit STOP Sports Injuries. Children should be wearing the proper gear for the sport that they are playing. The proper gear, including pads and mouth guards, can help prevent injuries during practice and games. Not only is wearing the right equipment necessary, but being properly trained on how to use athletic equipment and the importance of safety are also paramount to helping your child stay safe on the field. Wearing the proper gear isn’t only necessary during games, it’s also necessary during practices as about 62 percent of sports-related injuries happen during practice, according to Safe Kids Worldwide. 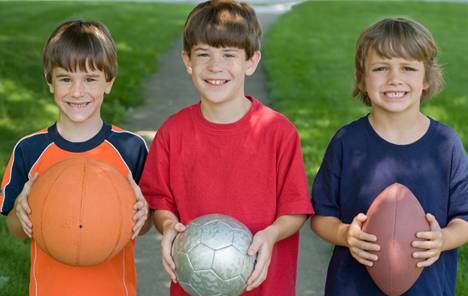 When playing sports, children should rest to prevent overuse injuries. About half of all sports injuries for middle to high school student are from overuse, according to STOP Sports Injuries. Players should rest during games, practices and off seasons. In fact, the American Academy of Pediatrics recommends that athletes have at least one day off a week from their sport. Parents may also want to consider making sure their children do not play in more than one sport season at a time to help prevent overuse injuries. Children may want to keep playing, even when they are in pain. It’s important at a young age to teach them to stop if they feel pain to prevent a major injury down the road. Teaching children that they should alert a coach or parent when they are in pain can decrease the risk of injury. Instilling this idea in youth may be difficult because Safe Kids Worldwide reports that 42 percent of athletes say they have hidden or down-played an injury so they could keep playing. Concerned about an injury in your youth athlete? Call 772.288.2400 or click here to schedule your appointment now. Preventing injuries for athletes can be a hard thing to do sometimes. So, I liked your tip about stopping when there is a pain. A lot of the time if something like your feet you thinks that if you keep playing that it will go away. however, it seems like it would be smart to stop and go see a podiatrist just to make sure nothing is wrong. Do you recommend kids refrain from playing football due to risk of concussion? I appreciate you providing some tips on how to help prevent injuries in sports such as always keeping yourself hydrated. It is recommended that athletes drink plenty of water before, during, and after practice. This helps keep their muscles flexible and prevent them from suffering cramps, muscle pains, and spasms. I would make sure to keep this in mind especially now that I have a son who is a football player himself. Thanks.